Country Club! Three Bedrooms Plus Study! Situated in a quiet court location this home features a family focused floor plan, three bedrooms, study/possible fourth bedroom, formal lounge room, generous kitchen with new oven and cook top, open plan family/dining which leads to a great sized undercover entertaining area, secure yard with great access, ideal for boat or trailer, garden shed, ducted cooling and gas heating, brand new carpet and fresh paint. 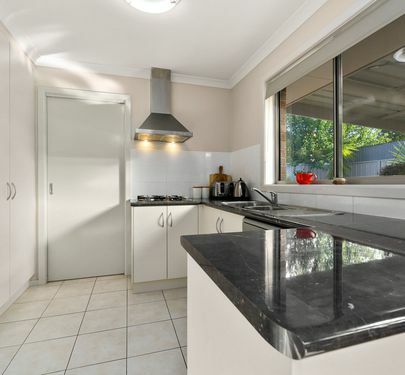 Walk to facilities including schools, bus stops, TAFE College, Diamonds Soccer Grounds, child care centres, medical clinic, APCO and Mayfair Drive shops.